With his protean stylistic range and sharp nose for national and political myth, the late Andrzej Wajda was almost single-handedly responsible for bringing Polish film to international attention. 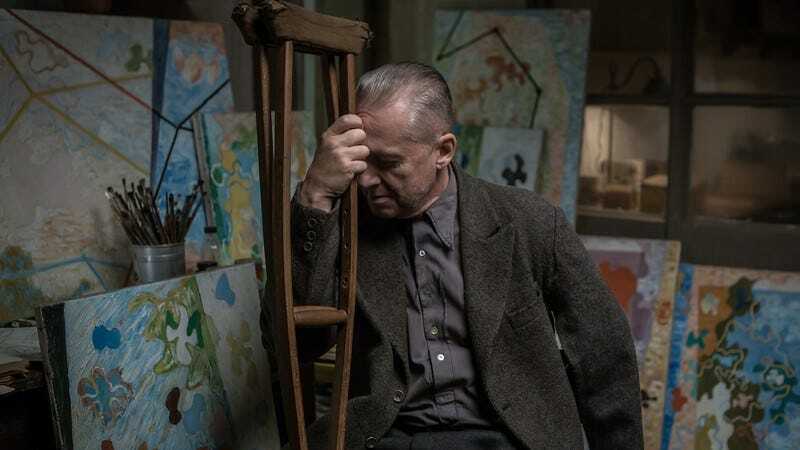 But his final work, Afterimage, which he completed before his death last year at the age of 90, is only a minor effort: a schematic and monotonous drama about the Belarusian-born Polish painter and art theorist Władysław Strzemiński (Bogusław Linda) that has flashes of visual wit and is somewhat interesting as a perverse reversal of artist biopic tropes. 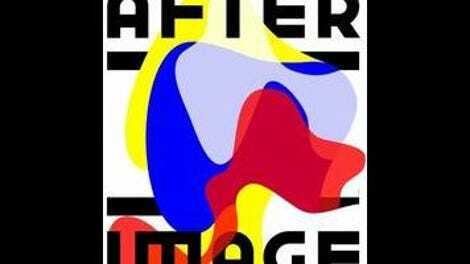 There are so many ways in which Afterimage—which is set in Strzemiński’s final years, from 1948 to 1952—is like every other hokey portrait of unheralded genius, with its blankly eager students and stuffed-shirt snobs. But as in many true stories of oppressive regimes, everything seems to happen backwards, tracing an arc from fame to obscurity. Hopping around on his crutches with an unfiltered cigarette often clenched between his teeth, the one-armed, one-legged Strzemiński spends much of the film being led into one office or another, an audience to his own decline from a popular art lecturer and key figure of Polish avant-garde art into an unemployed propaganda banner painter begging for work at the museum warehouse where his own art is being stored, having been deemed inappropriate for public display. No one could accuse this film (or any Wajda film, for that matter) of being too subtle. But while Wajda’s best movies drew on his technical fluency to create ingenious parallels—whether in the suspenseful use of urban architecture in his 1955 debut, A Generation, or the flashbacks and film-within-a-film structure of his 1977 masterpiece Man Of Marble—Afterimage suffers from a clunky script and an overdetermined formal palette. Working with Roman Polanski’s longtime cinematographer, Pawel Edelman, Wajda progressively drains color from the frame, with the last third of the film lit in frosty blue-greens, like a coroner’s office in a David Fincher movie. (More effective is Wajda’s decision to score the whole thing to music by Andrzej Panufnik, a composer who was also censured in the early 1950s and ended up defecting to the West.) The point is obvious: Life is becoming uglier and less inspiring for Strzemiński, an artist known for his bright colors and use of constructivist and primitivist forms. So is the ironic parallel between an early scene that finds Strzemiński lecturing over a slide presentation on Vincent Van Gogh to a darkened room full of bright-eyed art students and a later one in which he tries to go to a movie with his young daughter, Nika (Bronisława Zamachowska), only to be forced to sit through a newsreel extolling the virtues of Moving Into The New Apartment, a wretched socialist realist painting by Aleksandr Laktionov. Afterimage is too focused on its overbearing visual outline—which includes progressively shrinking Strzemiński in the frame as the master shots get wider and wider—for Linda’s stubborn lead performance to come across as anything more than superficial. But it does make inspired, ironic use of Stalinist propaganda and socialist realist kitsch as a counterpoint that seems to mock Strzemiński wherever he goes. In one early scene, a massive banner of Stalin is hoisted over the side of the artist’s apartment building, casting his home studio in blood red—a visual gag that does double duty as a metaphor for both the struggles of an artist trying to work in a repressive environment and the tendency of totalitarian regimes to consider outward appearance over livability. In another, a group of die-hard Communist students vote to denounce Strzemiński, their art school’s most popular instructor, under the misshapen eye of an amateurish clay bust of Lenin. And yet the film never finds a way to frame Strzemiński’s own art. Perhaps that’s the point—it doesn’t belong in an environment as excessively designed and lifeless as this.